Property 3: Secluded cottage very close to Skye Bridge and within Kyle of Lochalsh village. Property 5: Open Fire, cosy, pet friendly cottage in a private location with stunning views. Cosy traditional cottage in beautiful rural south west Scotland. Dogs welcome! 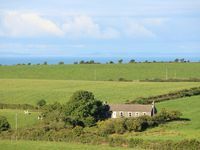 Property 25: Cosy traditional cottage in beautiful rural south west Scotland. Dogs welcome! Property 27: Larch lodge Dumfries & Galloway. Property 37: Merlindale 5* self-contained, two bed/two bath apt. by River Tweed. Property 44: All the advantages of a village location but within easy access of Inverness. Peaceful pet friendly Lodge with stunning views over farmland and forest. Wifi. Property 46: Peaceful pet friendly Lodge with stunning views over farmland and forest. Wifi. Home from home. Everything you needed was there. It was well furnished. The bottle of wine was a nice surprise.